Our school School Management Committee on behalf of Mr. Wang Minsheng parents has been enthusiastic service schools have great ideas for flowers and trees, plants and trees are taken care of school, graduation ceremony during major events such as open days or more in advance of planting potted unique furnishings mind , gave the guests to visit the school and parents. In this year's Lunar New Year holidays, in full support of principals, teachers and students, Professor Mr. Wang personally Narcissus soaked head technology, and more clever use of roof sunny location, the production of large tubs for mass impregnated, during which the teacher and daffodils dishes carefully with students, and finally in pre-holiday, nearly two hundred more students get both fragrance and elegant daffodil celebrating the festive season. 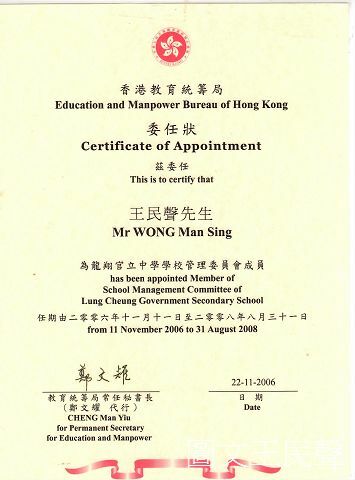 School staff and students on Mr. Wang's enthusiastic service gratefully acknowledged. Among teachers and students are able to enjoy the fun together, apart, but also enhances communication, so as to establish a good relationship between teachers, especially rare. Green Foundation chairman Dr. Simon Chau pointed out that planting activities so that students get a wonderful temperament cultivate, so that the soul "With sustenance." I hope the new year with more students can join our green army to foster "green"